Faro has announced the availability of the Faro Visual Inspect product family. This platform enables large, complex 3D CAD (Computer-Aided Design) data to be transferred to an iPad and then used for mobile visualisation and comparison to real world conditions. This enables real time, actionable manufacturing insight through earlier stage error detection in the production, construction or design processes. 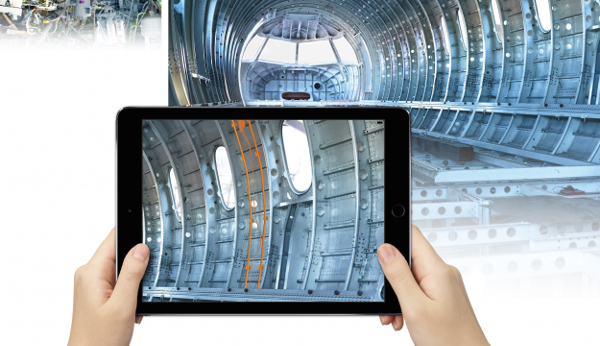 The integrated iPad camera supports Visual Inspect AR as a more cost-effective alternative to other Augmented Reality (AR) products that require expensive cameras. The Visual Inspect product family can be ready for use via a simple three step process that includes first downloading the iPad application from the Apple Apps store, calibrating the iPad and then activating the application with the calibration file.